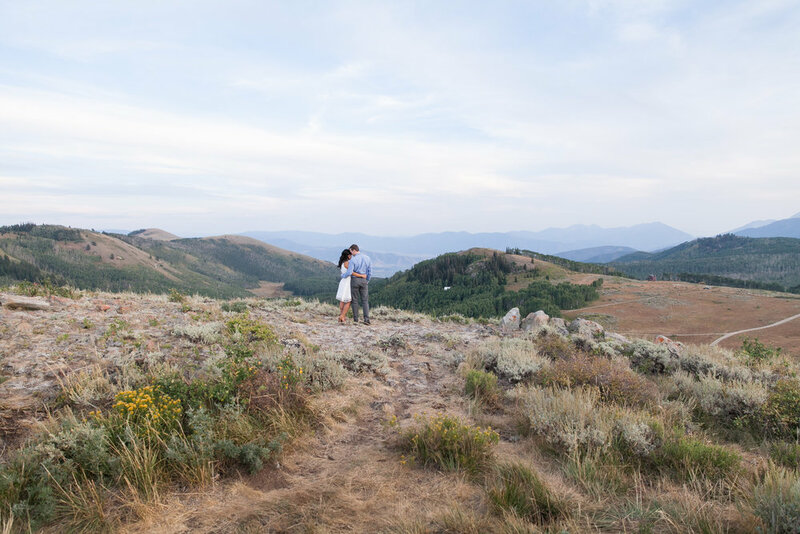 Kayla & Ryan met in Park City, so we thought it would be a great place for their engagement photos. 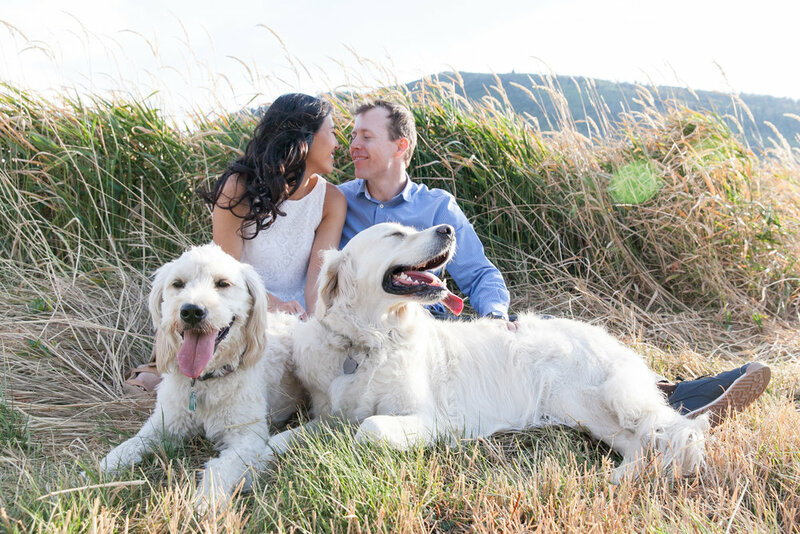 They love their beautiful white dogs, so naturally, we included them in the photos. 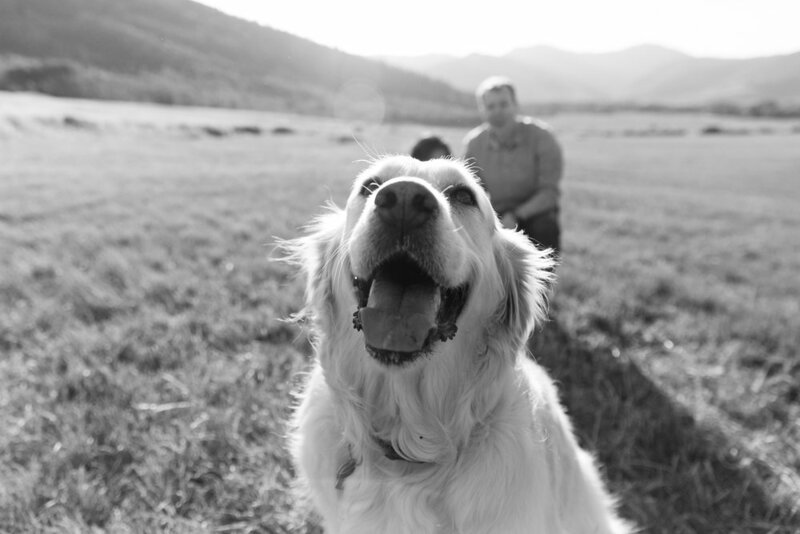 They were happy to run wild, in the big field at McPolin Farm and I was happy to photograph them in such a gorgeous mountain setting. 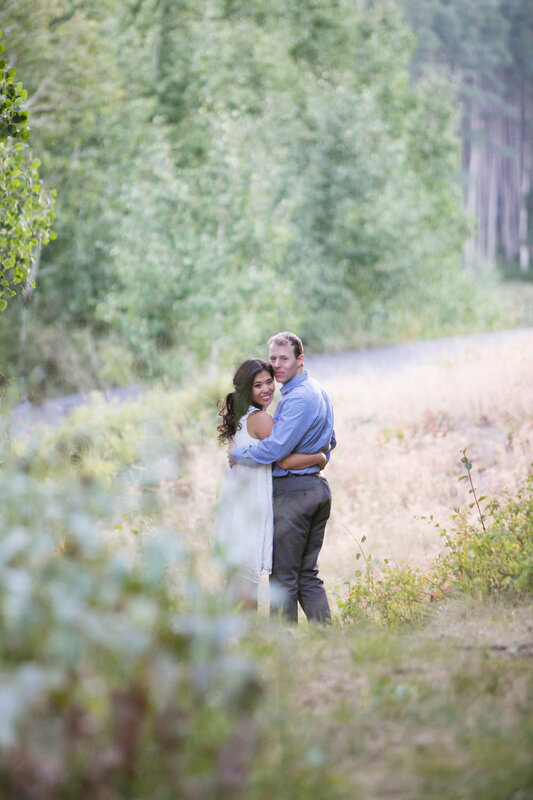 Kayla & Ryan were really natural in front of the camera. After the white barn, we headed up to Guardsman Pass, for more photos--what an inspiring backdrop!